I first started exploring natural food dyes when trying to decorate my son’s birthday cake without using artificial colors from a little squeeze bottle. I knew there had to be ways to get vibrant colors out of actual foods. After discovering how to make pink, blue, green and yellow frosting, I moved on to coloring pasta, which is by far the most forgiving medium for natural food coloring. One can easily adjust moisture levels in pasta dough, which absorbs colors from solids, pastes, liquids and powders. Eggs, which are dyed in a quick bath of a colorful liquid, posed a new set of challenges. 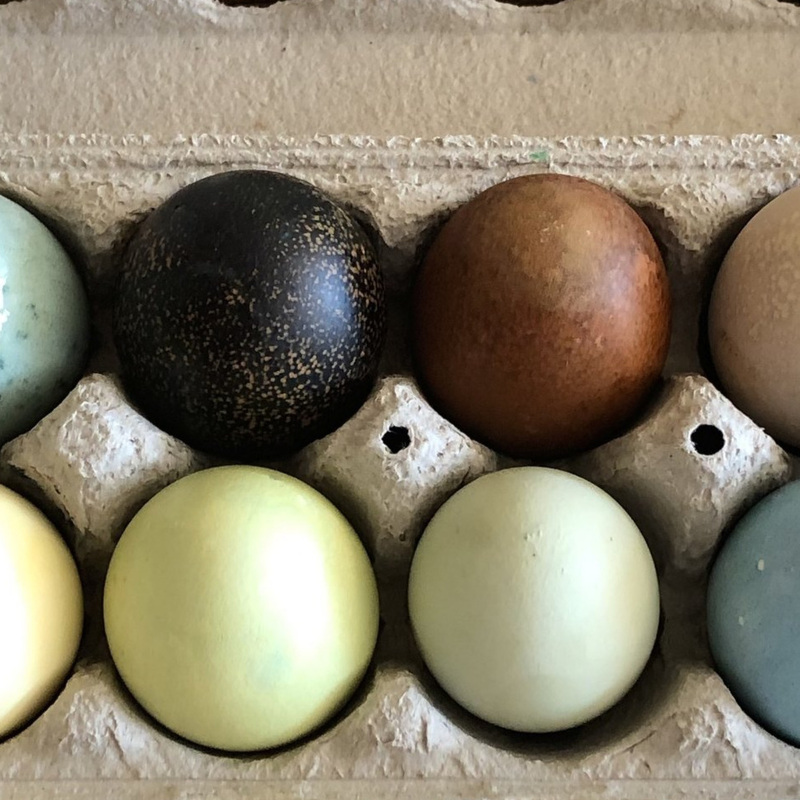 Since we dunk eggs into liquid dyes, the pigments from colorful foods need to be transferred as much as possible to the water they are cooked in before straining off solids like shredded beets or dried flowers. And ground spice powders, like turmeric and paprika would ideally dissolve into the liquid. Not the case. Many formulas for natural dyes will tell you to use powdered turmeric for yellow. I love spices and figured I’d try others too like paprika, sumac, & chili powder. Why not? Left: Speckled orange egg created with ground turmeric, ground paprika and oil based dye. Right: Blue polka dot egg created with butterfly pea dye and stickers. It’s challenging to get clear vibrant color from these ground spices. First, ground spices are fat soluble, which means they work better with oil to break down and disperse their colors. But dunking an egg in oil sounded unorthodox and messy. So I followed the advice and simply simmered ground spices in boiling water for 20 minutes & then strained. The color was there, but it required a multi-hour, if not an overnight soak to dye eggs, and it left a little grit on the eggs, no matter how fine the strainer. So I revisited spices 101 and decided to bloom them first (or sauté them in a little bit of oil) before adding some water to make the liquid dye. The colors were certainly more vibrant and adhered in under 20 minutes, but the oil left a splotched rather than smooth finish on the egg - check out the orange speckled egg made from a combination of paprika and turmeric. Up next, I will attempt a dye made 100% from the ground spices bloomed in oil. So, how do you get the best clear liquid yellow dye? If you have it available, fresh grated turmeric root works best. I simmered it in water just like the other fresh vegetables, and then strained off the solids. While the turmeric root itself appears orange, the liquid it creates makes a beautiful soft and natural yellow. If fresh turmeric root is not available, shredded golden beets work as well. I had such success adding greens of all shades and varieties — sautéed, steamed, juiced and blanched spinach, kale, parsley & chard — to pasta dough & frosting that I didn’t expect it to be so challenging to dye eggs green. And, green eggs & ham, right? Wrong. 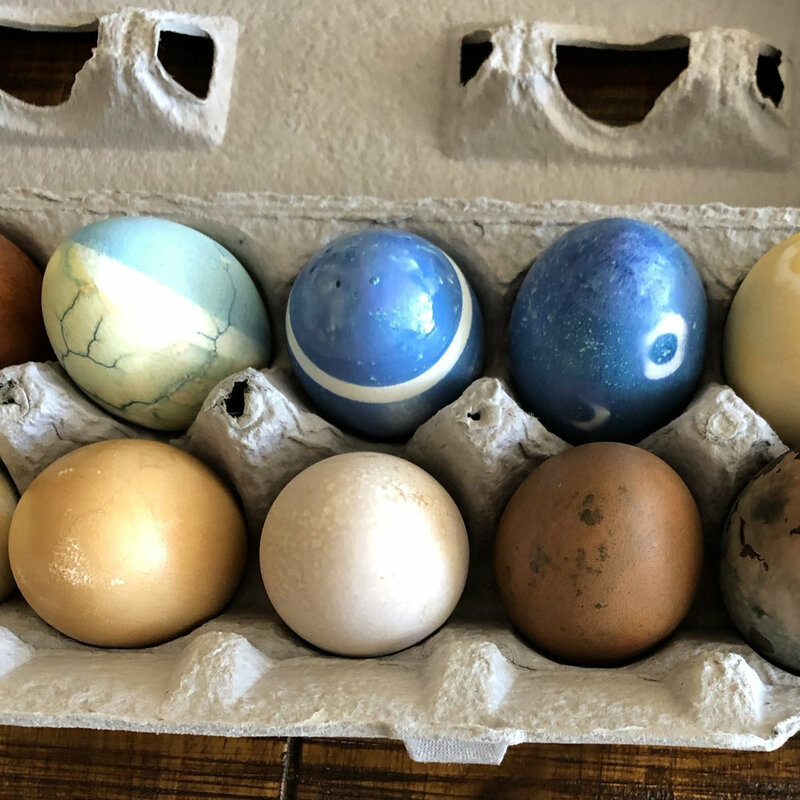 For egg dying, not only do the green colors become terribly diluted in liquid, but the key ingredient required for getting dye to adhere to eggs destroys the green pigments. 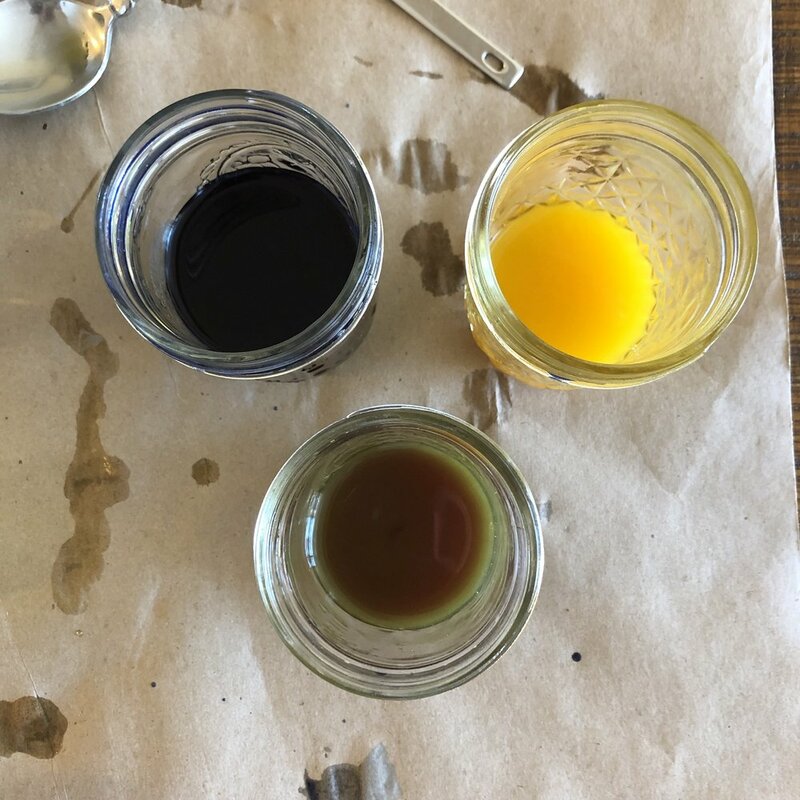 We add vinegar to egg dyes to create an acidic mixture that reacts with the calcium in the egg shell, allowing colors to be absorbed. 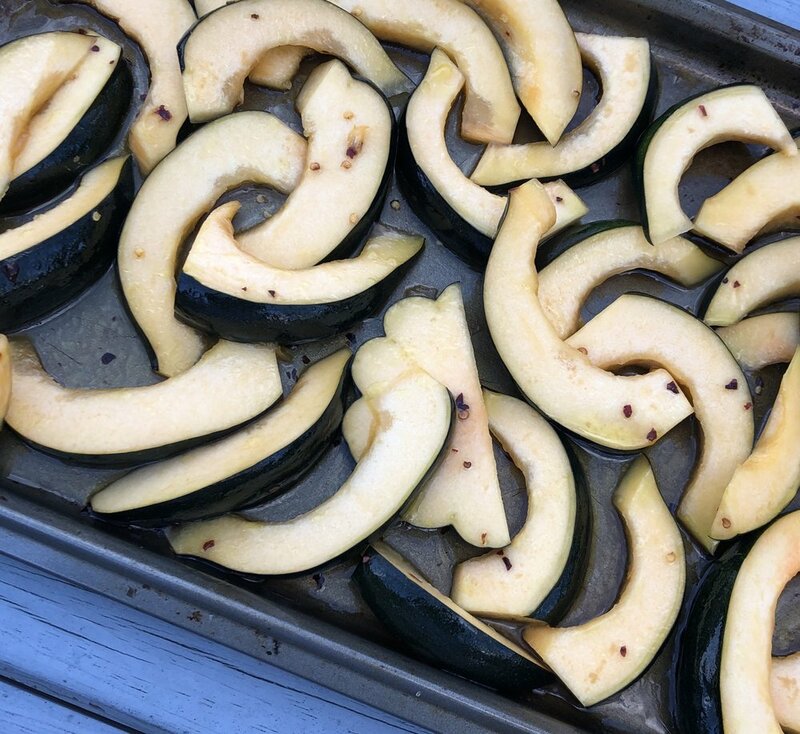 While this acid creates vivid blues and bright pinks, any acid (lemon juice, wine, tomato sauce) deteriorates green rapidly and transforms it to an unappetizing olive or brown. The answer? Create vibrant greens by combining yellow and blue dye immediately before dunking eggs. Boil or steep vegetables (1 cup), spices (1 tablespoon), or dried flowers or teas (1/2 cup) in water (1 1/2 - 2 cups) for 10-20 minutes. Strain through a fine mesh strainer. Discard, compost or reuse the solids. Add vinegar and stir. 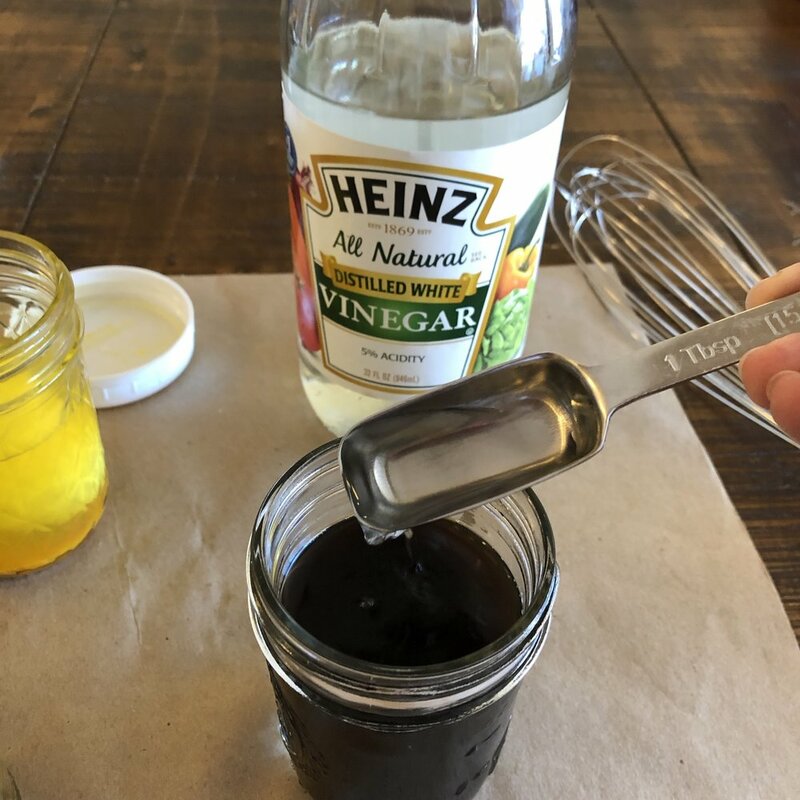 Use ~1 tablespoon vinegar to 1 cup liquid dye. Use less for acidic mixtures like berries cooked in lemon juice. For a quick reference list of formulas for these and a full rainbow of dyes, click here. 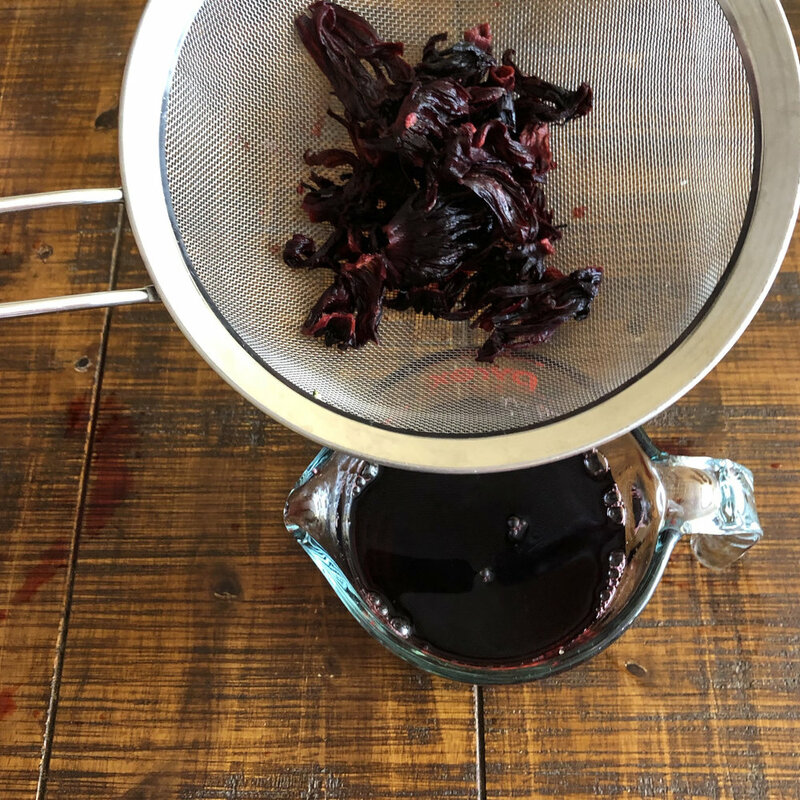 ½ cup dried hibiscus flowers + 2 cups boiling water. Steep. Strain. 1 cup shredded red beets + 2 cups water + 1 tablespoon smoked paprika. Boil. Strain. 1 tablespoon smoked paprika + 2 teaspoons of turmeric powder sautéed in 1 tablespoon canola oil + 1½ cups water. Boil. Strain. 1 tablespoon grated fresh turmeric root + 1 ½ cup water. Boil. Strain. ½ cup of turmeric yellow dye + 1-3 tablespoons butterfly pea blue dye added one teaspoon at a time. Shake well. ½ cup dried butterfly pea flowers + 2 cups boiling water. Steep. Strain. Black coffee brewed per your usual method. Stir 1 tablespoon of vinegar into 1 cup of dye. 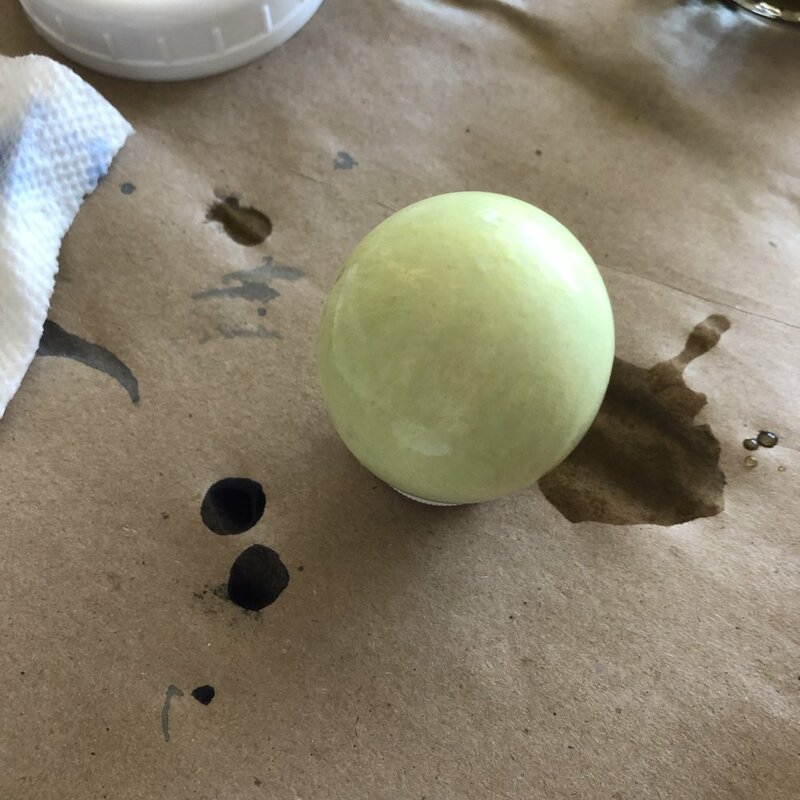 The acid in vinegar reacts with the calcium in the eggshell to ensure dye adheres. Set aside ½ cup of lighter colored dye and gradually add darker colored dye one teaspoon at a time to get the shade you desire. Test various combinations such as yellow+blue, red+yellow, and blue+red. Wrap rubber bands around eggs before dunking them in dye to make stripes or crisscross patterns. Remove rubber bands after dye is completely dry. Use stickers of all shapes and sizes to make patterns or designs like polka dots and flowers. Press firmly onto egg shell before dunking and remove once egg is dry. Hold eggs in whisks for easy and safe dunking into and retrieval from dye. Bottle caps of all different sizes work perfectly as stands for still-drip drying eggs. Rest them here until dry. 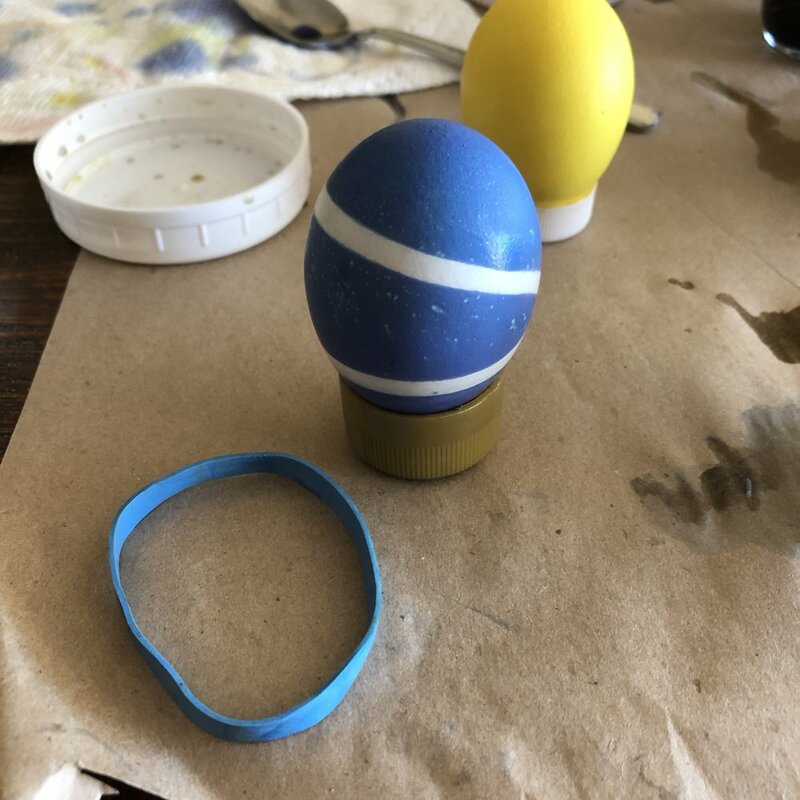 Be sure to clean out bottle caps before drying eggs of different colors unless you want stripes. Soak eggs in more than one dye to create new colors. Or create multi-toned eggs by dunking one side at a time into separate colors. Use naturally brown eggs as well as white eggs to create richer, earthier deep shades of all colors. Experiment with soaking eggs for various lengths of time. Longer soak = higher saturation of color. In this photo, the top egg was soaked in turmeric dye for 10 minutes, and the bottom egg was soaked overnight. For a glossy finish, rub a little bit of oil (I use canola) on the egg once it is dry. Just use your fingertip. Since you dyed your eggs with natural food coloring, they’re edible. 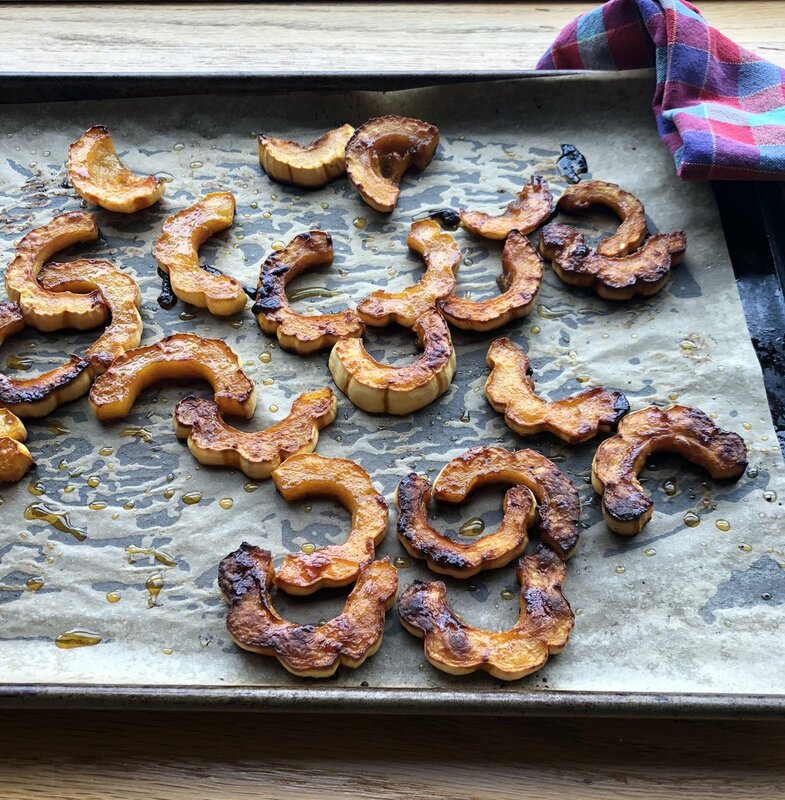 Just peel and eat. But be sure to keep eggs refrigerated - don’t eat any eggs that have been sitting at room temperature for more than 1 hour. If you’re soaking them longer than than, put the dye and egg in the refrigerator. Once you boil the eggs, keep the egg cartons for safely drying, storing and transporting the colored eggs. We cut them so that each person can take a half dozen home. There's no mistake. Poached eggs are heavenly. Who doesn't love lazily rolling out of bed on a Sunday and strolling to brunch for a hash or hollandaise-smothered dish with a perfectly runny, bright yellow poached egg on top? But soft boiled eggs are so much more... practical. And I appreciate the practical. While poached eggs are cooked one at time in a carefully watched barely simmering pot of water, soft boiled eggs can be made by the dozen, left bubbling away on the stove, monitored by a timer, cooled, and stored for a week's worth of breakfasts on the go. If you're hosting brunch, this is a smarter option for advanced preparation. And those soft boiled eggs are easily transported as compared to their delicate poached cousins. For soft boiled perfection every time, follow these 6 simple steps. All you need to remember is 6 minutes. Do this just once a week for daily enjoyment. 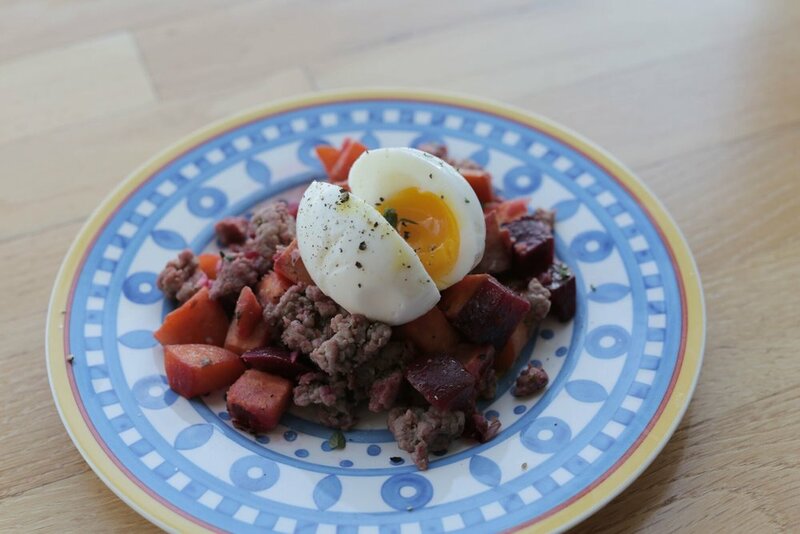 Peel and enjoy soft boiled eggs immediately on your favorite benedict, with a toasted bagel or over a hash like my Spicy Root Vegetable and Sausage Hash (pictured below). Store any remaining soft boiled eggs in their shells in the fridge (this makes them sturdier and prevents breaking when transporting in your lunch box). 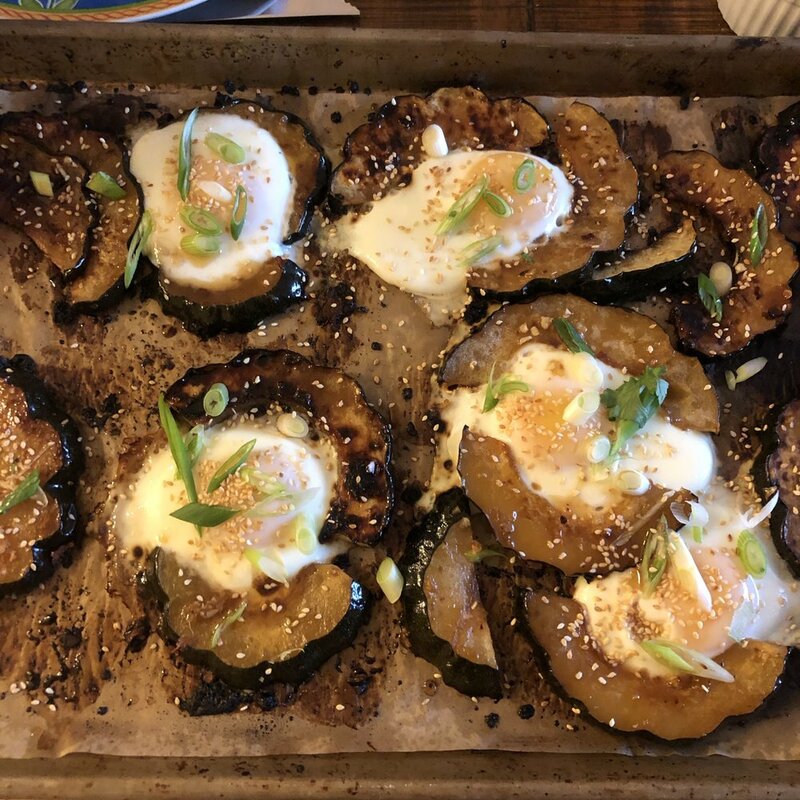 Make at least a half dozen at once so you have soft boiled eggs to add to kale salad, caesar dressing, roasted veggies, and avocado toast throughout the week.